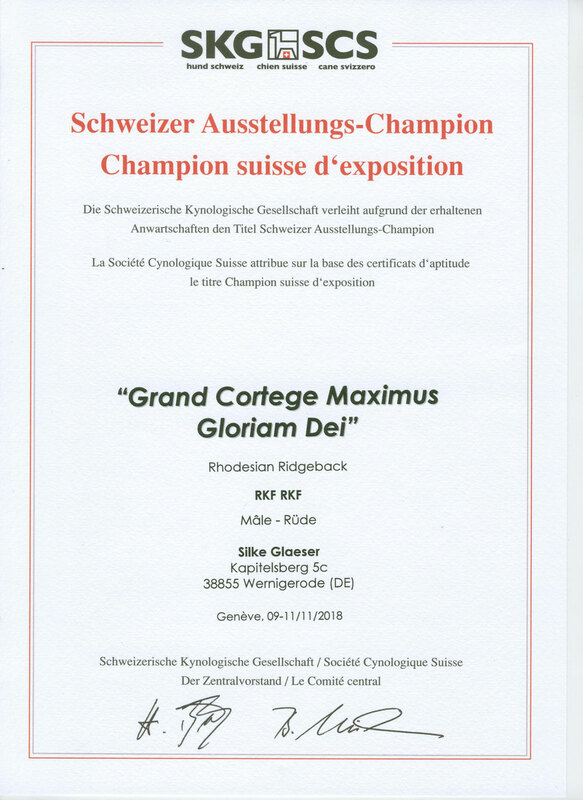 Max hat am 08.07.2018 die Zuchtzulassungsprüfung beim RRCD in Maxdorf erfolgreich und ohne Einschränkungen/Auflagen bestanden. 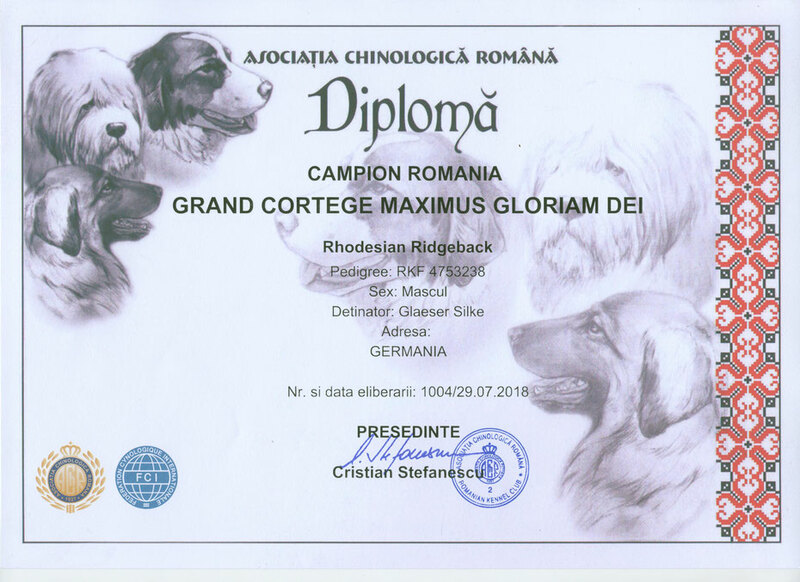 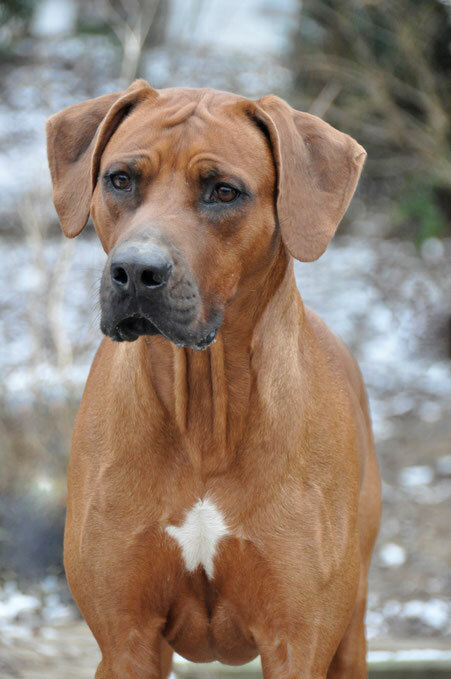 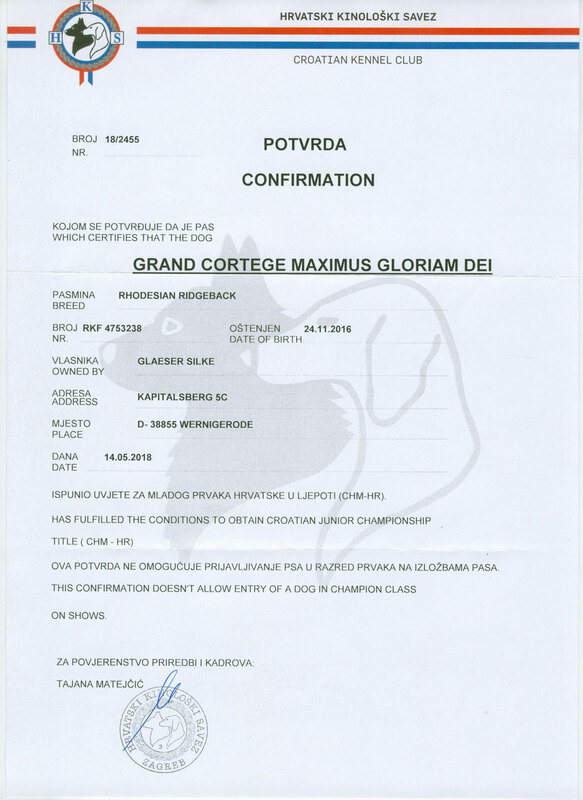 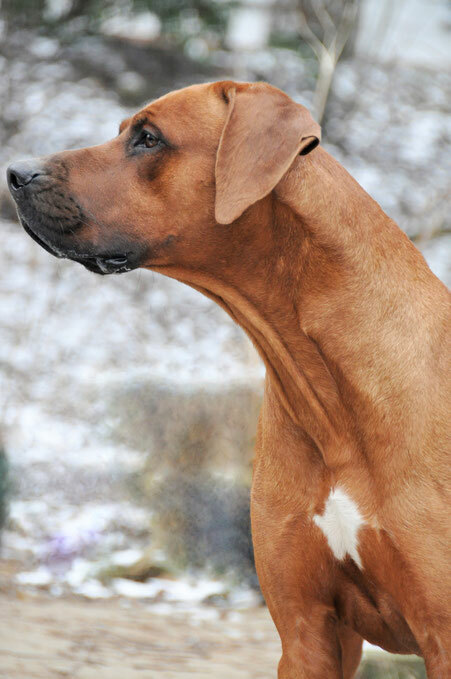 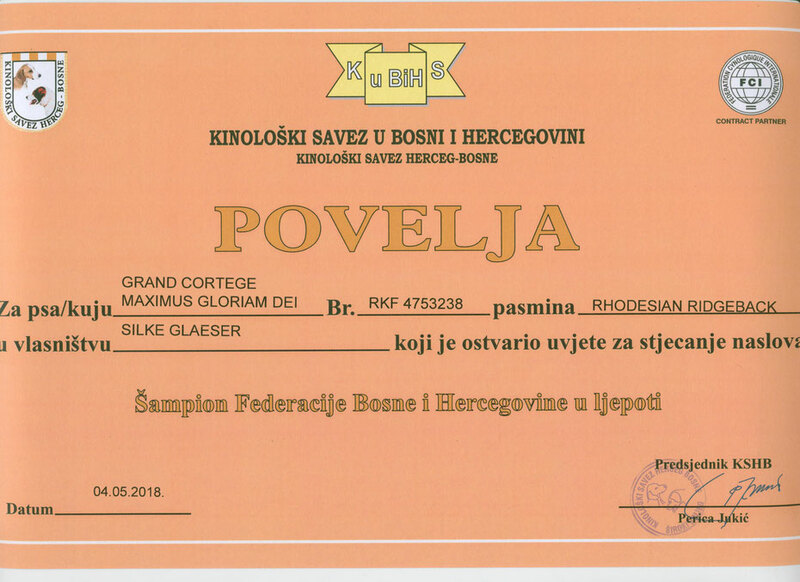 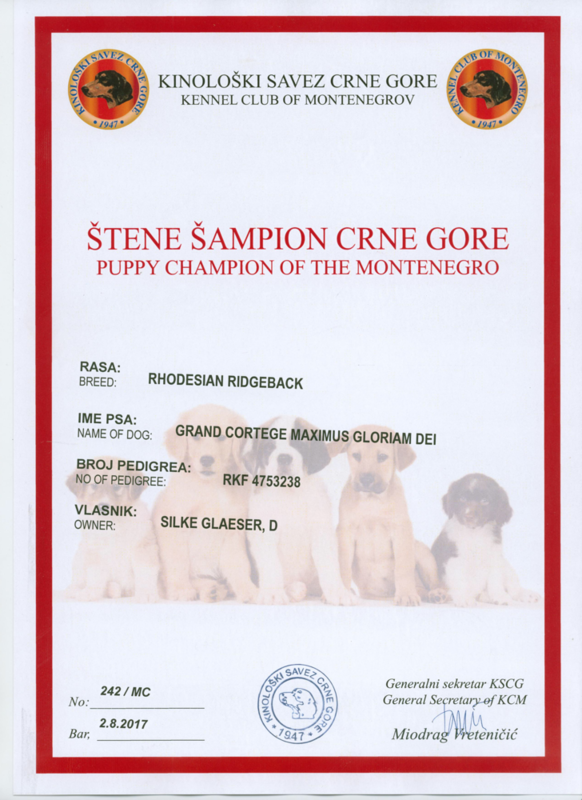 Max has successfully passed the breeding examination by RRCD on 08.07.2018 in Maxdorf without any restrictions. 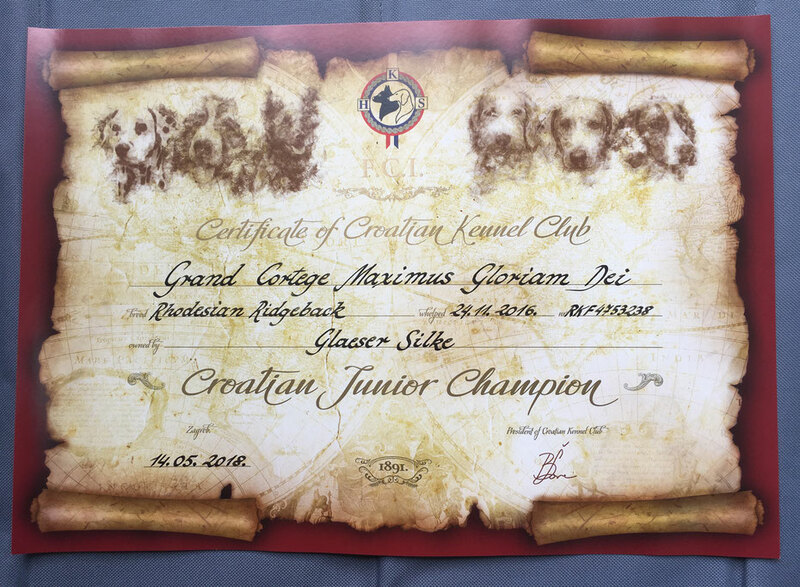 #Candidate for "Champion of Croatia"
#Candidate for "Champion of Austria"
#Candidate for "Champion of Slovenia"
#Max already meets at age of 19 month all the requirements for the title "Deutscher Champion VDH"